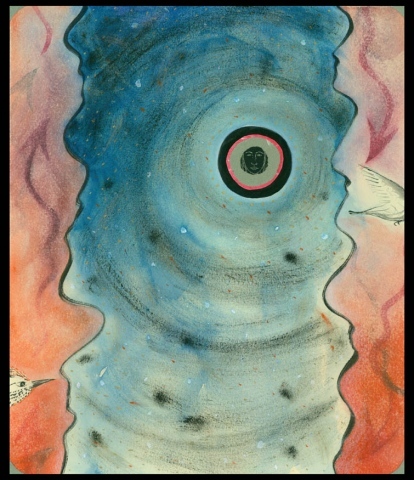 One of a collaborative series of drawings inspired by Pablo Neruda's poems about the sea; produced by Pati Scobey and Diane Fine at the Virginia Center for the Creative Arts. Each piece is drawn by one of the artists, responding, after the initial drawing, to each other's visual translation of the poems. This drawing is made by Scobey.